Prescriptions can be faxed to us at 888-469-2555, or we can accept a scanned copy of your prescription by emailing it to us at sal[email protected]. 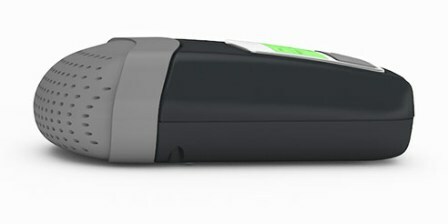 The Z1 Auto CPAP by HDM (Human Design Medical) is the smallest and lightest auto cpap available. 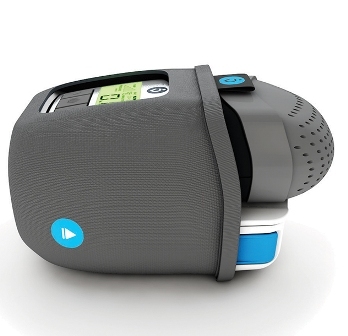 Weighing in at less than 11oz and smaller than a 20oz Soda bottle the Z1 easily stows in a backpack or carry-on bag making this the perfect cpap for travelers. With the optional PowerShell battery module the Z1 is an ideal choice for back-country campers, scouts, and hunters allowing for a full night's sleep even when AC power isn't available. For those extended outings when power won't be available for several days extra batteries can be purchased to satisfy the needs of the particular situation. The Z1 Auto CPAP also offers comfort features found on more conventional cpap machines such as Ramping and Z-Breath. Z-Breath is pressure relief during exhalation similar to Flex and EPR™ found on other cpap machines. HDM offers a free Nitelog iOS mobile app available from the iTunes App Store that allows users the ability to view data and remote control of their Z1 auto cpap. The Nitelog mobile app allows you to sync directly to your device with Bluetooth and review your sleep data and share the information with your physician. Dimensions CPAP Only - 6.5" x 3.3" x 2.1"
Dimensions CPAP with PowerShell - 7" x 3.75" x 4.25"
The Z1 Auto does a great job of being small and delivering the automatic and regulated pressure and providing a comfortable sleep. However, because it has no humidifier or temperature control, and I did not realize how important this was for me, it may be difficult for me to use it often. I purchased the HD60-2100 Z1 heat and moisture exchanger with the Z1-Auto in anticipation that it would provide the needed humidity, but it did not work for me. I also was disappointed at how noisy it was. Predominately air flow and not the machine itself, I will be trying the Q-tube muffler to see if this will help reduce the noise. 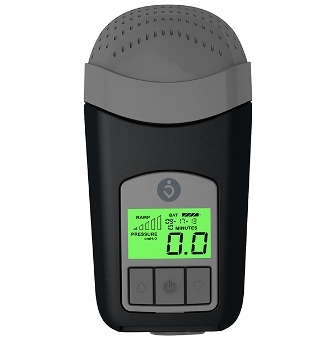 If you do not have issues with temperature, humidity, or noise, I recommend the Z1-auto for the small size and great job of pressure control and also the companion app that is available for tracking progress in using the Z1-auto. I will keep the Z1-auto for a spare and to take on trips.